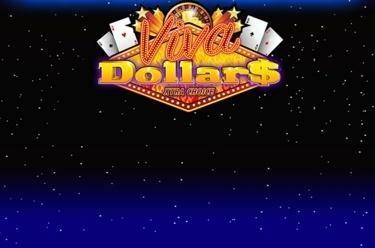 Play Viva Dollar$ Xtra Choice online for free now! The slot Viva Dollar$ Xtra Choice with 25 win lines on 5 reels takes you to the magical world of the city that never sleeps: Las Vegas! The Wild symbol scores the biggest winnings for you. The aim with Viva Dollar$ Xtra Choice is to line up 5 identical winning symbols on one of the win lines. All win lines run from left to right. If you land the Red 7 (Wild) 3 times you can win in two ways: The Red 7 can substitute for all symbols (except for the Scatter symbol) and increase your winning chances, but also grant you winnings if it is part of a correct symbol combo. The more Wild symbols the winning combo contains, the better: that way you might earn a 77 times winning multiplier! You can also rake in huge winnings with the Dollar Sign (Scatter) symbol: if it lands at least 2 times in any reel position a win is paid out already. 20 free games with a 7 to 17 times Wild multiplier. 12 free games with a 17 to 37 times Wild multiplier. 8 free games with a 27 to 57 times Wild multiplier. 6 free games with a 37 to 77 times Wild multiplier. Mystery choice: a random number of free spins with a randomly selected Wild multiplier. Reels brimming with colorful winning symbols against a backdrop of the skyline of Las Vegas – welcome to Viva Dollar$ Xtra Choice! Exciting winning opportunities are waiting for you: The Red 7 acts as Wild symbol, multiplying your winnings in the base game with up to 77 and showering you with Twists in the Xtra Choice feature. 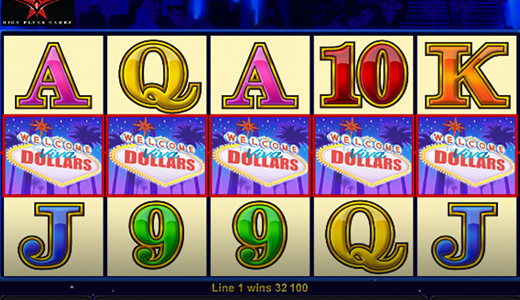 This feature allows you to decide how many free games and with which Wild multipliers you want to play!